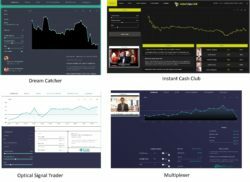 This Multiplexer review contains proofs that this binary options program is a scam. It is presented by Richard Ewing. Ewing claims that his binary options trading software has a 100 % strike rate so it make insane amounts of money. This high success rate is allegedly due to fast data circuits that the Multiplexer software uses. According to Ewing Multiplexer can make you $20,000 within 24 hours, guaranteed. And guess what, this millionaire program is free, so you can become very rich for free. Multiplexer is a poor scam. We have already seen a lot of scams claiming that superfast data transfer is key to binary options trading success, but it is a nonsense. You cannot scalp on binary options, they have an expiry time of at least one minute. So seeing price data a fraction of a second before others do has a minimal impact on binary options trading results. The truth is that Richard Ewing does not exist, it is a fictitious character created by scammers and played by an actor. In fact we have already seen this guy playing in other binary options scams. His presence alone is a big warning sign. Look at the picture, you will see an example, back then this guy played the role of Mark Bromovich in the Profits Infinity scam. At the beginning of the Multiplexer video you hear Ewing saying that he already made money to tens of people while showing their alleged photos. But these photos are stock. So testimonials are fake. In fact everything is fake in the Multiplexer scam, including trading account statements. Look at the picture to see the proof. We tested the Multiplexer software and we have discovered a software used by scammers only. Look at the picture, the exact same app has been used by scams like Optical Signal Trader or Dream Catcher. Scammers just change colors, logos and rearrange the placement of some buttons and other elements, but it is easy to see that it is the same software. Look at the image and you’ll see. So now let us explain how Multiplexer really works. The whole program is designed to make you deposit money with a broker that you cannot choose. Because if you deposit through the Multiplexer software, these scammers will get paid an affiliate commission from the broker. Simple as that. Pay attention to the fake trade that you are shown after signing up. It is supposed to raise your balance, but when you look at the real balance on your broker’s trading account, it is zero! Lies, lies and lies, nothing is real with Multiplexer. 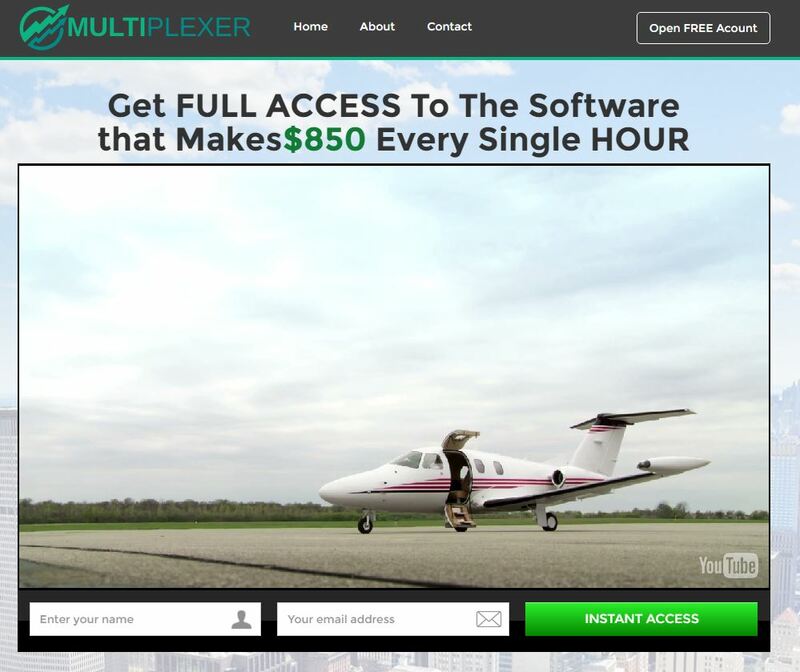 Multiplexer is a disgusting scam that will make you lose money that you will be forced to deposit in order to be allowed to use the software. If you really want to make money in binary options trading, you have to start on a free demo account and test and learn until you become profitable. Only then you can start investing real money. Yup, it’s a scam, and the only real way to go is getting a good demo account (one that accurately reflects both live market conditions AND the settings of the broker). 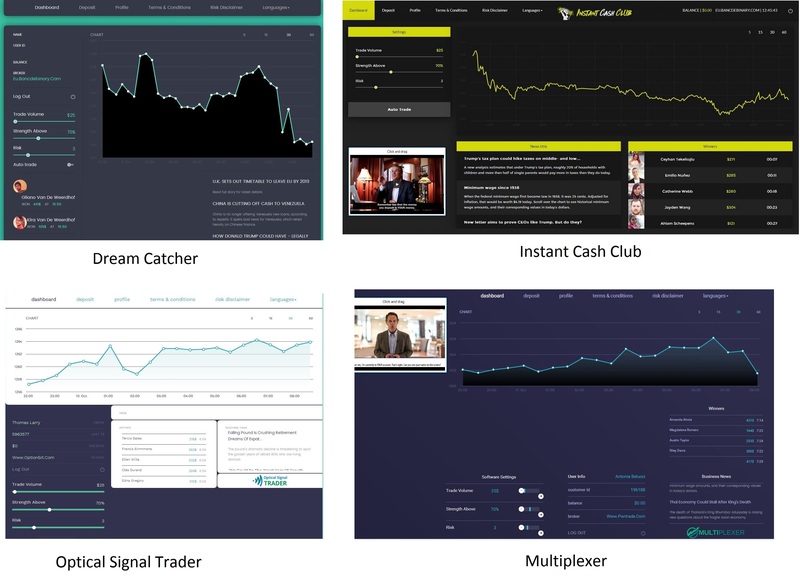 NADEX is the only one for me, but if you can’t get in on that, do make sure it’s a regulated broker with a good demo program and study the online trading information and practice, practice, practice! Hi, it’s a scam, see our Gemini 2 review.